High Voltage Engineering Europa B.V. (HVE) is specialized in the development and manufacture of ion beam and electron beam technology based equipment and is the largest and most diverse manufacturer of particle accelerator systems for science and industry. In addition to research type accelerators systems HVE also manufactures industrial type accelerator systems and sub assemblies for semiconductor ion implantation systems and of electron beam processing systems. Research and Development(R & D) plays a central role at HVE. 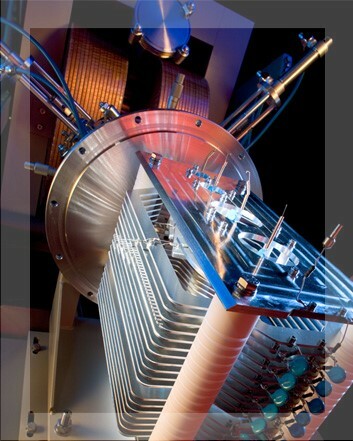 Being the leading manufacturer of particle accelerator systems for science and industry. HVE is continuously engaged in multiple R & D programs. HVE is housed in a modern well-equipped 10.000 m2 facility located in Amersfoort, the Netherlands. The facility, newly built in 1987 and extended in 1996, consists of a large main hall with offices in two levels at the front and specialized workshops along both sides. Since 2009 the machine shop moved to a newly built extension of 600 m2. The sub- and final-assembly areas and testing area are located in the main hall, whereas the various components are manufactured and tested in separate specially fitted workshops. This layout together with state-of-the art machinery and equipment enables HVE to manufacture all of its products very efficiently and with a constant high quality.